Even though the drama surrounding Microsoft’s Yahoo acquisition has subsided, it looks like there’s still some bad blood. 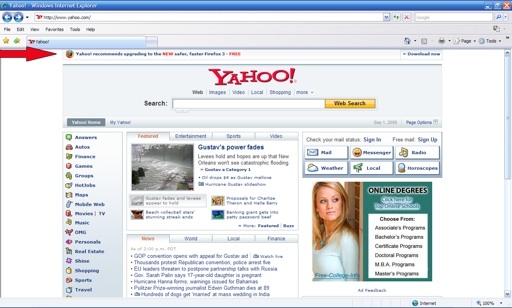 A tipster yesterday sent us a screen shot of Yahoo’s front page running on Internet Explorer with a Firefox recommendation sitting atop the page. “Yahoo recommends upgrading to the NEW safer, faster Firefox 3,” the ad says. Yahoo still offers its version of Internet Explorer on its Downloads page, but if it isn’t safe or fast when compared to Firefox 3, why is the link still active? Maybe it’s just some sour grapes.